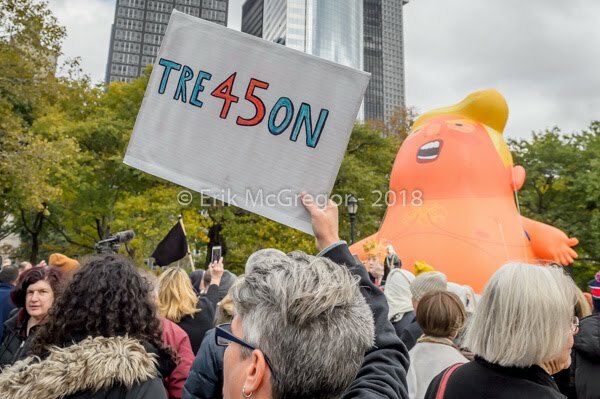 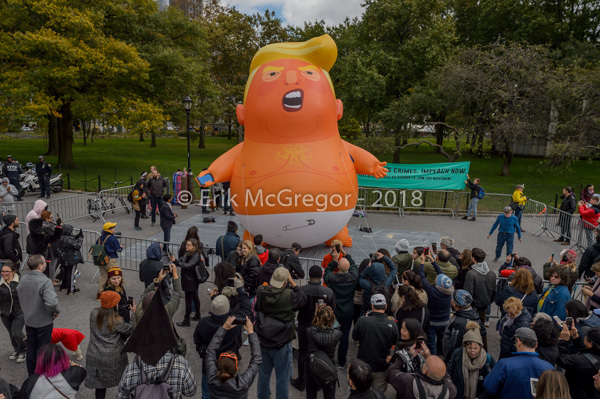 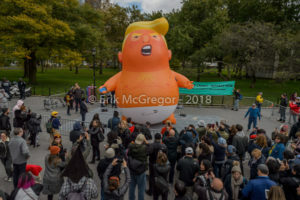 New York, NY – Hundreds of New Yorkers joined activist groups By the People and Baby Trump Tour at the Impeachment Parade organized on October 28, 2018 at Battery Park. 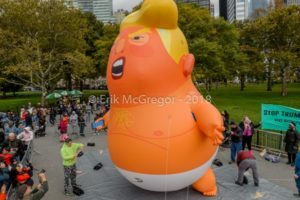 The event featured the infamous 20-foot-high Baby Trump Balloon, which made Trump feel ‘unwelcome’ in the UK. 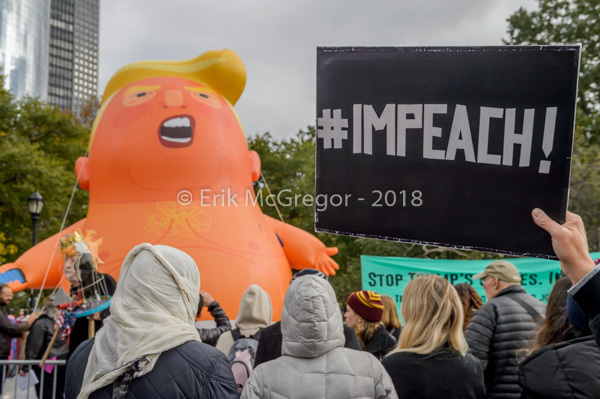 This parade was organized to kick off mass campaign to mobilize millions of Americans to support impeachment and remove Trump’s Administration from power and allow the people to build a country that works for all of us. 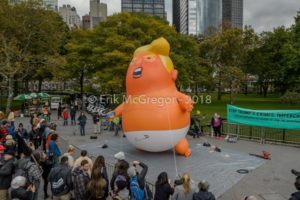 The Baby Trump Balloon, a 20-foot tall balloon depicting the president as a petulant child, wearing a diaper and holding a cell phone in his tiny hands, has been on a nationwide “Baby Trump Tour”. 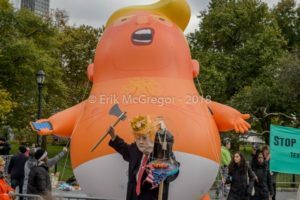 The tour has gone from Bedminster to Palm Beach (near Mar-a-Lago) alongside a rally for Power to Puerto Rico, to the Women’s March in Chicago, to Politicon in Los Angeles, and more. The parade comes the weekend after a wave of attempted bombings targeted Trump’s top political opponents, just before the 2018 midterm election. 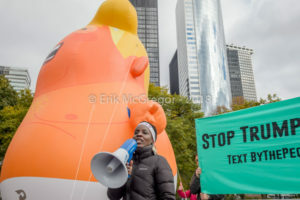 America must defend the freedom and dignity of all those who call it home. But Donald Trump is separating families and children, promoting religious discrimination, encouraging white supremacists, obstructing justice, and working with a foreign dictator to undermine our democracy. Resisting this President and his administration is not a political action, it is one of survival. 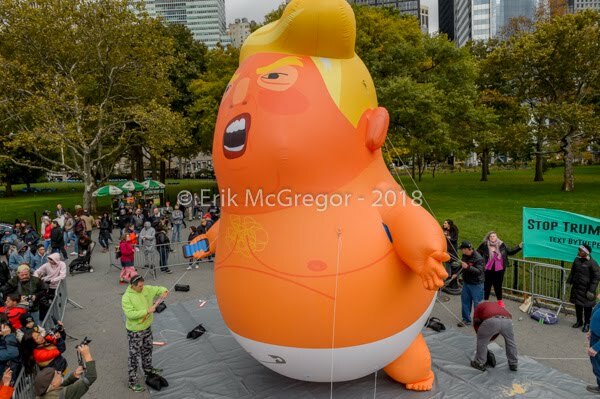 He has proven every day since elected that he is unfit to serve as our country’s leader. 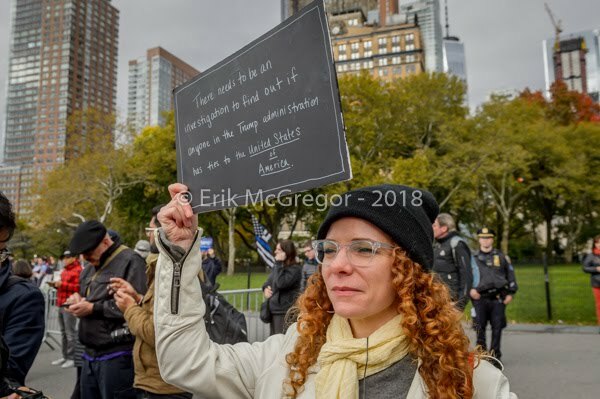 We must use every tool at our disposal to push back. Ego and insecurity is Trump’s Achilles’ Heel – help us take aim at it together, and give Trump the parade he really deserves! 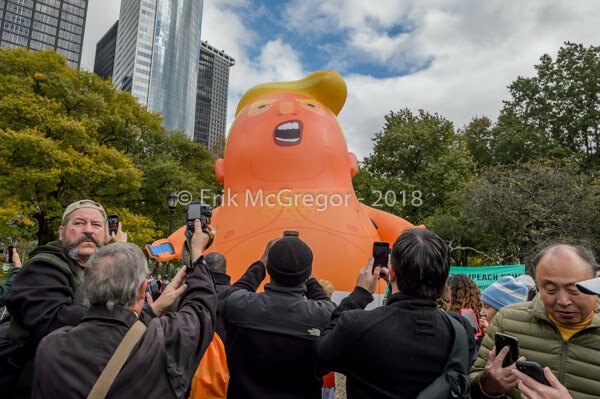 We think it’s time he started to feel unwelcome in the US too. 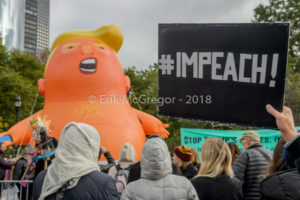 Impeachment will stop this president.